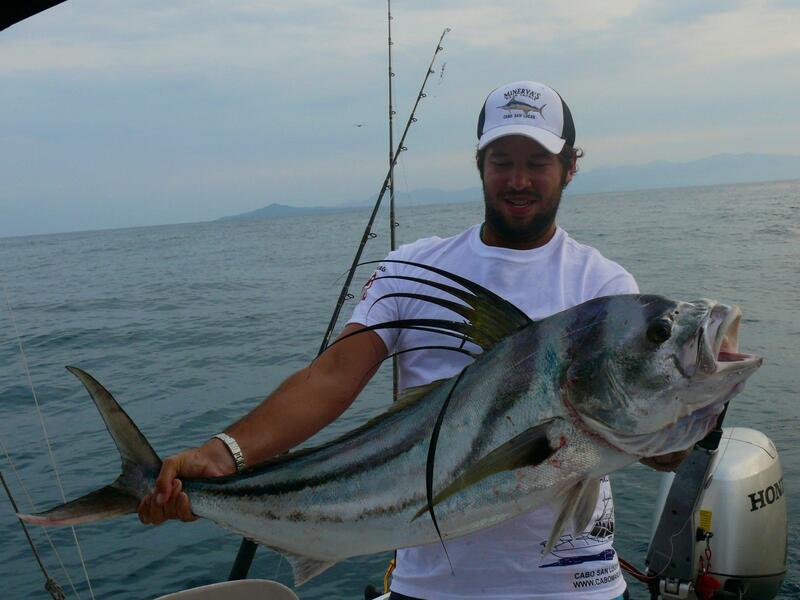 Puerto Vallarta fishing report September 2015 Sailfish, Marlin, Roosterfish. The fishing really has heated up this last week we have been catching alot of Sailfish and Roosterfish at el moro. Corbetena and the el banco have been producing Marlin between 100-350 lbs also Sailfish, Dorado, and Gouper. The Marlin have been biting lures or live Skip jacks slow speed trolling as Sailfish has been the same technique the Sailfish have also been biting live goggle eye baits and have been an average size of 60-110 lbs. The Rosterfish I think have been the biggest story this last week averaging 20-40 lbs Roosterfish is one of the most sought after Game fish in the wold especially big ones like these. It is all great signs for the big season coming this October and November the fishing is red hot and the fish are just going to get bigger in the upcoming months.